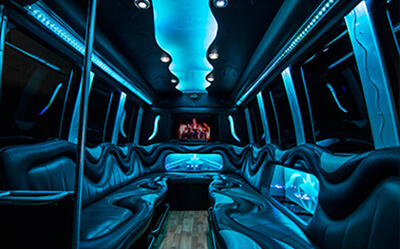 We're Pittsburgh's leading luxury transportation service, offering an expansive fleet of party buses and stretch limousines to accommodate any group for 10 to 30 passengers! View some of our fleet below and visit our vehicles page to see our full fleet! Our ground transportation fleet features some gorgeous luxury limo & bus service, and they're all perfect any memorable events, from weddings to birthdays to tailgating parties or other outdoor events. Get a group together and go have some fun. 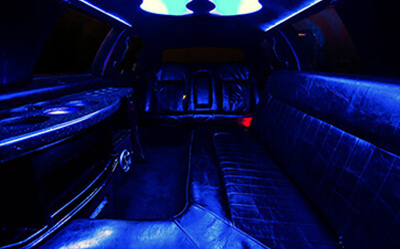 Read more to discover why this limo is perfect for that. Got a large party that needs transporting to an event? We can take you there. Find out what amenities this bus has for your entertainment. Enjoy a small sample of our fleet! Thank you so much for taking the time to visit us to get you to and from your upcoming trips. 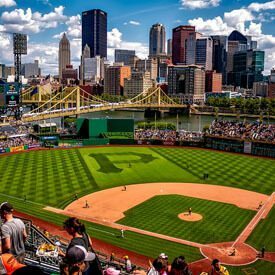 If your searching has brought you here, you must be looking for late model chauffeured luxury limousine bus rental, Pittsburgh limo bus, Pittsburgh limos, or booking Pittsburgh limousine service. You've certainly come to the right place with courteous limo rental experts happy to provide you with a quote on a premier group transportation or go ahead and finalize your reservation! Everyone who hires our services raves about the quality that they receive, and due to that, we have primarily been able to drive our business through word of mouth alone. Not many businesses can say that, and we thank you, the customers, for it. You'll love taking advantage of our world-class 24-hour service available to rent 365 days a year, which is billed hourly in 15-minute increments so you never pay for more for chunks of time than you don't use! Best of all, we hire only the finest quality drivers who really know their way around the Pennsylvania streets. 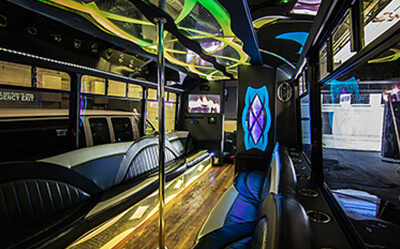 You should never settle for less than the quality that Party Bus Pittsburgh provides, and now that you have discovered our company, you'll never have to. Party Bus Pittsburgh specializes in reservations for all types of events, special occasions, outings both personal and business, or just a night on the town including your wedding transportation for both ceremonies and receptions, bachelor and bachelorette parties, birthday and anniversary parties, sweet sixteen parties, quinceanera celebrations, teen proms, concert & music festivals, sporting events, and corporate transportation. 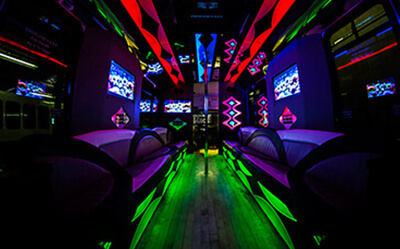 There is virtually no limit to the kinds of special occasion that we can provide transportation to even normal experienced booked with us turns into the ultimate party bus we call it the surprise Michigan bus party that is remembered fondly as a special day or night to remember, so call us with your ideas or itinerary any time. You can take a more in-depth look at some of these occasions in our events section, and perhaps that will give you some ideas of your own! We have an array of in style VIP vehicles for you to choose from, and each one is perfectly suited to many different events, so you are sure to find the perfect party limo or party bus for you and your friends particular needs. You can view them all in our vehicle section, along with all of their specs like flat screen TVs and a high tech sound system in every passenger bus along with all of our limo service vehicles. 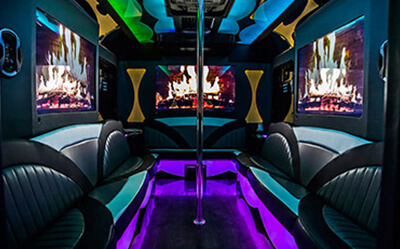 Our professionally equipped knowledgeable team is wonderful at picking the perfect party bus or limousine for your specific needs, so you can just give us a call with the info about your party, and we'll choose the right one for you... or you can choose it yourself. It's all up to you, and we're happy to oblige! We guarantee on-time arrivals, and we also get the highest level of insurance that is available on the market today in order to protect you completely in the event of any accidents, whether major or minor. Of course you're much safer on the road with one of our professional chauffeurs than you are with anyone else, and that's the main level of protection that we're proud to offer you. We'll be happy to provide you with all of our insurance papers as well. All you've got to do is call or email. We look forward to hearing from you soon about your trip! If you are looking to get a price quote for your event, please completely fill out the form below, and our representatives will reply with your information as soon as possible! We are available 24/7 for quote requests. If you have another question for us, we invite you to give us a call at any time! We are always happy to help answer any questions you might have. This is a very important time in a person's life. 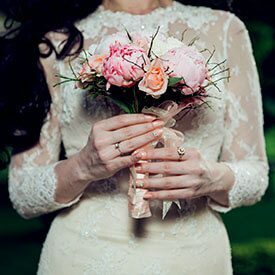 With all the stress of planning it, let us take something off your hands and we will do the transportation. 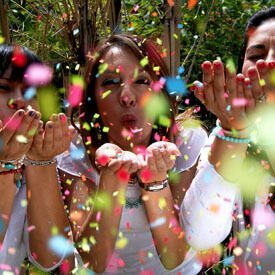 There are many reasons to have a party. Do you have a birthday or an anniversary coming up? 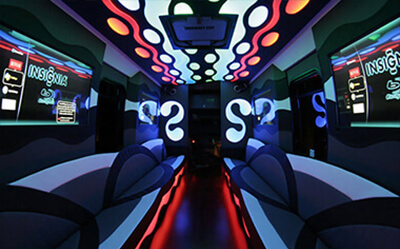 Make a night out it and get a party bus to take you there. Sports games are fun but the traffic before and after the game is horrible. Stuck for what sometimes feels like hours, no one likes it. Don't stress out. State wide service for all occasions, available 24/7 AND affordable! Our all-inclusive rates can't be beat! 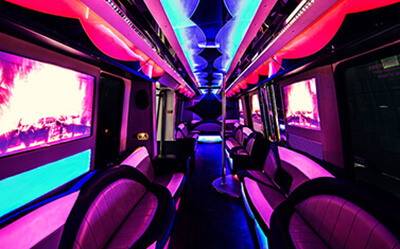 Party Bus Pittsburgh is Pittsburgh's number one party bus company. We operate 24/7 so you can contact us at any time for quotes, questions, or to book! So what are you waiting for? Call us today!